Our dogs are a huge part of our lives. They are there for us when we need a friend, and they provide a focus for love and care. Sometimes our dogs provide needed security and have been known to save lives in many sorts of situation. Since they provide so much for us, we try to take care of their health and well-being with food, veterinary visits, and other aspects of care. For that reason, there is dog insurance. 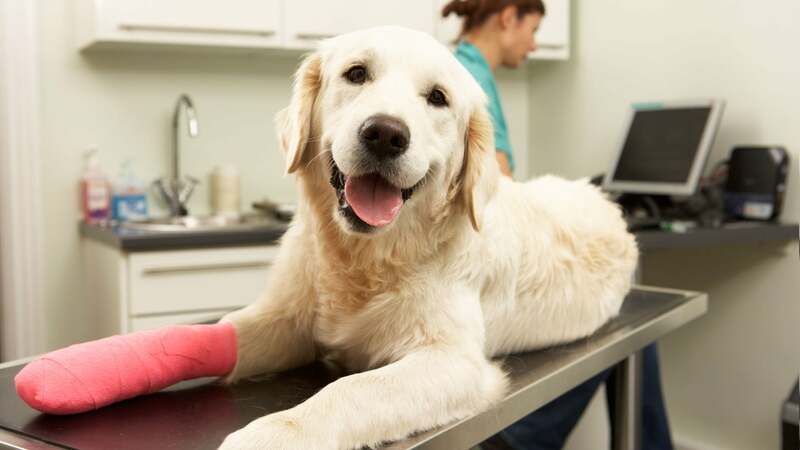 This page covers many aspects of dog insurance and will be helpful as you look to find the best policy for your beloved pooch. Dog insurance is a type of policy that covers your beloved Fido in case he is injured or becomes ill. Policies can also cover preventative care such as check-ups, diagnostic procedures, and even teeth cleanings. Dog insurance works much like your health, homeowners, or car insurance policy. Once you determine the level of coverage you want for your dog, you can choose a coverage plan. From that point, you pay monthly premiums to ensure that your pet is covered in case he eats the wrong thing, is injured in the street, or falls ill.
Dog insurance plans can also cover things such as veterinary visits, medications, and alternative therapies. Even dogs have chiropractic adjustments, acupuncturists, and massage therapists. Dog insurance comes in many different forms. Some plans are comprehensive and will cover everything from a massage to cancer treatments. Others focus only on life-threatening situations. The more comprehensive the plan, the more expensive it is likely to be, so take this into consideration. Dog insurance policies should offer comprehensive coverage for your pet. The policy premiums should be affordable with low deductibles in case you need to make a claim. At a minimum, your policy should cover major injuries, surgeries, and medications. That is, you want your beloved dog to receive the best care in a life-threatening situation. You also need your dog insurance policy to cover less dire things such as veterinary visits, diagnostic procedures such as mri, cat scan, and ultrasound. Not all plans will cover these routine procedures, as they focus only on emergency, crisis situations. Therefore, it’s important to determine the level of coverage you need for your dog. When you shop for dog insurance, weigh out the various features available for your dog’s coverage plan. You might start by considering your dog’s breed. For instance, certain breeds tend to have back problems or they face hip dysplasia later in life. If you have other pertinent genetic information on your pet, you can take that into consideration, as well. Once you have all of the information on your dog, you can assess the features you most need from a dog insurance policy. This feature of insurance has been discussed in the media a lot lately, as it is a big issue in human insurance. Some policies will not offer coverage if your pet is already ailing, or injured. Or, they may cover your dog, but will charge exorbitantly high premiums and steep deductibles. If you’ve ever had a late-night emergency with a dog, you know that the emergency vet is not cheap. When you are shopping for a dog insurance policy, make sure that it covers emergency care. Dear fido is not liable to swallow the lego at a convenient time, so make sure that you are paying premiums on a policy that covers such inconvenient dog health emergencies. If you already have a favorite veterinary office that is close, friendly, and accessible, you will want to make sure that they accept your insurance plan. Most any vet will accept insurance, but make sure that they will accept your policy before you need to make a claim. Shop when your pet is healthy. Dog insurance plans will not cover pre-existing conditions, so start your dog on an insurance plan when they are frisky puppies. If your plan covers preventative and routine care, you can possibly have insurance offset some of those puppy expenses, such as vaccines, and mistakes like eating the wrong thing. Decide how much coverage you want. Our dogs become parts of our family, beloved friends and companions. Yet, we must also determine the limits of their insurance coverage. Compare dog insurance plans and measure the level of coverage you feel is appropriate for your dog and your budget. If your dog is a specific breed that has particular problems, take those into consideration and make sure that your policy will cover those. Understand reimbursements and deductibles. You might already be familiar with these concepts from your own insurance, but don’t be caught unaware when your insurance policy demands a deductible. That is, they may want an additional payment from you prior to paying a claim. Make sure you understand the level of care you will be asked to cover out-of-pocket. Read fine print. Always read the fine-print in any insurance plan. Make sure you fully understand your policy before you begin making premium payments. There may be special circumstances under which the company will not pay a claim, or you might find that the deductible. Examine extra fees. Your dog insurance policy might include extra fees such as a policy fee. Be sure to inspect the policy and ask whether there are any of these hidden, extra fees. Compare quotes. Before buying any dog insurance policy, make sure that you have at least three quotes to compare. You might even gather several sets of policies so that you can group certain types of coverage plans. You might be able to afford more coverage than simple emergency/crisis care. A little homework can go a long way when choosing the right insurance plan.